Born on November 5, 1936, the German footballer, Uwe Seeler, is regarded as one of the greatest footballers in Germany’s history. In 2004 he got the honor to be one of FIFA’s 125 greatest living players. 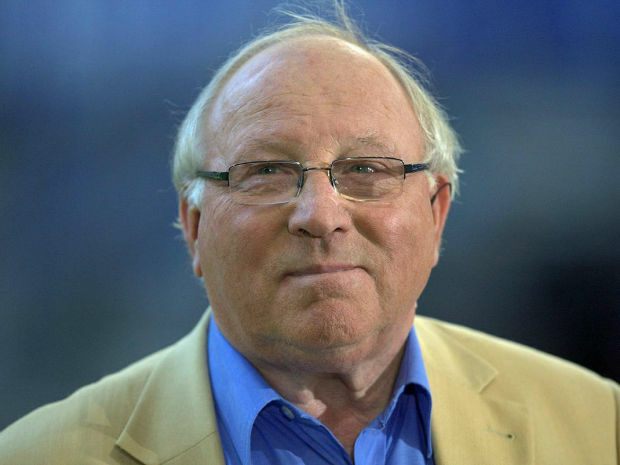 Seeler also had a two and half year term as the President of Hamburger SV, a German football team. He has also made a cameo appearance in a comedy film in 1972. He has made a total of 591 appearances and has netted 487 goals in his entire career. His grandson, Levin Oztunali, is also a professional footballer. Just like his father Seeler played for the Hamburger SV. He made his debut in 1954 at the age of 18 against Holstein Kiel and scored 4 goals. He received enticing offers over the years but he kept his loyalty to Hamburg. Seeler was sturdy and influential on field as a striker and is known for his leadership, uniformity and lofty abilities on field. He goaled 239 times in the Bundesliga games, 42 times with the German national football team and 21 times in the European club tournaments. He also captained, both, the German national team and his club for many years. In 1960, Hamburg won the German championship with Seeler’s help. In 1963 they won the DFB-Pokal. Also in the 1963-64 season he was the top scorer in Bundesliga and was the German Footballer of the Year in the years 1960, 1964 and 1970. With the help of his brother, Dieter, they reached the European Cup semifinal in the 1960-61 season but lost to FC Barcelona in a play-off match. In the 1967-68, Seeler helped the team to reach the European Cup Winners’ Cup but lost to AC Milan, however Seeler did finish the competition as the top scorer. Seeler retired from football in 1972. After scoring 404 goals in German Oberliga and Bundesliga he holds a record that stands even today. He is the second best German goal scorer standing behind Gerd Muller. Uwe Seeler played in the same 4 FIFA World Cups as Pele, in the years 1958, 1962, 1966 and 1970. However only the 1966 team reached the FIFA final and played against England and lost 4-2. Uwe Seeler can be seen devastated in a picture, that was taken after the end of the match, leaving the field as the Queen entered to award the English team their trophy. In the 1958 FIFA the Germans finished 4th, in 1970 they finished 3rd after losing to Italy. Seeler started playing with the German team in FIFA 4 years after Germany won their first World Cup, in 1954, and stopped 4 years before Germany won their second World Cup, in 1974. He became the first player to appear in 21 World Cup matches, he also became the first player to score at least 2 goals in each of the four World Cups, in total he scored 9 goals in the four world cups he appeared in. He scored 43 times in 72 international matches from 1954 to 1970.